​The course material is modern, yet rich with Italian cultural content. The classes will appeal to those planning to travel to Italy as well as to those who want to learn a new skill (good for the brain) or want to be able to communicate better with Italian relatives and friends. 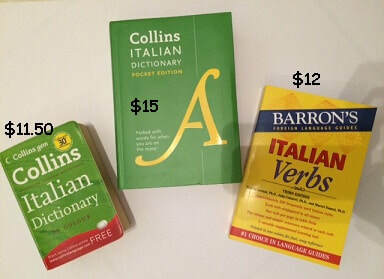 Membership for Students is $20 for the Calendar Year (Jan - Dec) Join Dante and get the FULL Italian Experience ! Coordinator & Tutor: Daniela Ferrigno, a native speaker from Naples. Tutor: Elena Mazzoleni a native speaker from Brescia. ​They are fluent in English and have an infectious enthusiasm for their country of birth. PRIVATE CLASSES can be arranged. All private classes are of 1 hour duration. Please contact Daniela for more information. The course material is modern, yet rich with Italian cultural content. Learning Italian is not all grammar! Our classes are designed to encourage you to communicate in Italian to everyday situations. Practice and homework is encouraged but not compulsory. However, 'practice makes perfect' motto is highly recommended. Classes are kept to a maximum of 10 students. Click here for more detailed information on each course level. Full payment of tuition fees plus cost of textbooks (if applicable) is payable in advance by the first day of Term. The Dante Alighieri Society of Cairns reserves the right to adjust any class sessions if the number of students is less than the minimum 5 students. If class size is 3 students the class will go ahead but lesson time will be reduced to 60 minutes for the $190 term fee. There are NO DISCOUNTS for missed classes during Term and no refund after classes have commenced. Therefore, it is the student’s responsibility to ensure they can attend their classes during the Term. These Terms and Conditions are necessary for the proposed number of levels to be able to go ahead each term without cancellation and to be fair and equitable for all students. If you unavoidably have to miss a class please contact your tutor directly and they will email you any homework given at that missed class. For more information: email danteclasscairns@gmail.com or phone/text the co-ordinator, Daniela 0424794963. 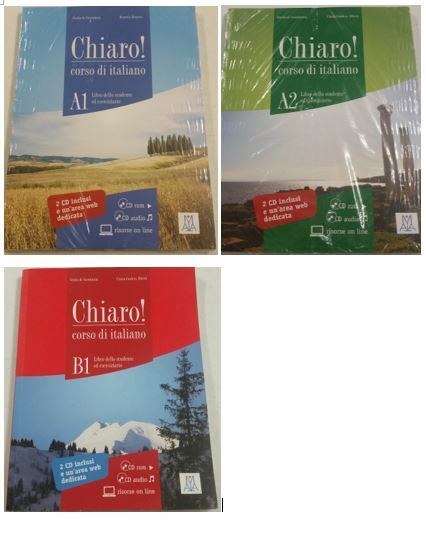 Fluency Levels use the "Chiaro" Books. These are available for purchase $35. or Hire the book. Pay $35 and if returned at the end of the term clean and unmarked, $30 is refunded.